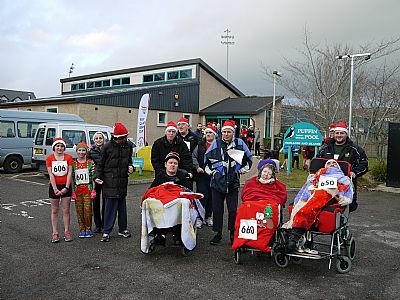 This year's Puffin Pool Santa Hat 5k walk/run/wheelchair event takes place in Dingwall on Sunday 2nd December 2018. 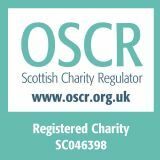 Ross County Athletics Club will be encouraging folks from Ross-shire and beyond to come out and support a local charity that helps people of all ages with a wide range of disabilities and mobility problems and caters for a variety of leisure groups. This scenic out and back route (this year’s route may be a new two lapper!) starts and finishes at the Puffin Pool, passing some of Dingwall’s star attractions, such as the water treatment works, Army cadets shooting range, Victoria Park (home to that other Ross County – FC,) the caravan park, train station, Ferry Point and Dingwall Castle. Walkers – 1100am, Wheelchairs – 1115am, Runners – 1130am. Shorter Route For Wheelchairs, if desired. Further information, entry and sponsorship forms can be picked up from the Puffin Hydrotherapy Pool (01349 864414) Entry forms can also be found on the Ross County AC website: www.rosscountyac.com. Entries will be taken on the day at the Puffin Pool. There will be an appropriate momento for all.